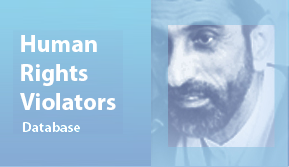 The Media Express: The 1988 massacre of 30,000 political prisoners in Iran has been referred to as a crime against humanity by various members of the international community. Members of the Iranian resistance have continued efforts to keep this tragedy in front of the international leadership, along with their calls for justice. The Iranian government has denied the massacre on multiple occasions, despite recordings where key officials admit to participating in the events of the summer of 1988. Many of the victims, according to witnesses and family members, were buried in mass graves. The locations of these graves are now under attack by the Iranian authorities, as they attempt to wipe out any traces of the massacre within Iran. According to a recent report released by Amnesty International entitled Criminal Cover-Up: Iran Destroying Mass Graves of Victims of 1988 Killings, the Iranian government is using bulldozing, road construction, mass trash dumping, and even new burial plots to compromise or destroy the forensic evidence of these mass graves. “The atrocities of the 1988 massacre in Iran is a wound that still remains open three decades later. By destroying this vital forensic evidence, the Iranian authorities are deliberately reinforcing an environment of impunity,” said Philip Luther, who serves as the Research and Advocacy Director for the Middle East and North Africa at Amnesty International. The press release accompanying the report noted that satellite imagery, as well as photo and video analysis, show that destruction. These tactics are simply a way to destroy key evidence, making it harder to determine the extent of the massacre, which is needed to establish the truth of the scale of the crimes and obtain justice and reparations for those impacted by the massacre. The organization, Justice for Iran, estimates that there may be over 120 of these locations across Iran. The victims included those who had been released and were rearrested, as well as those that had completed prison sentences, but were not released due to their unwillingness to sign repentance statements. For those involved in the 1988 massacre, the nightmare began in the summer, when political prisoners were kept from contacting their families. In the fall, reports of the executions began to leak out. It appears that the executions were the result of a fatwa from Supreme Leader Khomeini, who was looking to limit the influence of the PMOI/MEK, a major resistance group in Iran. “It is three decades since this ruthless slaughter took place and it is high time the authorities make real efforts to reveal, rather than conceal, the truth. The memory of those killed cannot simply be erased or buried beneath concrete,” said Luther. No Iranian official has been tried for the crime, and no investigations have taken place, despite repeated calls for them by the international community. Families have also been forbidden from holding memorial services for their loved ones, after being threatened with prosecution and imprisonment for attempting to find out the truth behind what happened to their family members. “These horrific crimes must be properly investigated and all those responsible for committing, ordering, and concealing these crimes brought to justice in fair trials without recourse to the death penalty,” said Sadr. The report also identifies seven suspected or confirmed mass grave sites, which have faced destruction from 2003 to 2017. Other still unknown sites may also be at risk or have already been destroyed.